MILAN, Dec 16, 2011/ FW/ — Waterproof, warm, comfortable, practical, the 18CRR81 CERRUTI parka pays homage to its Eskimo origins. 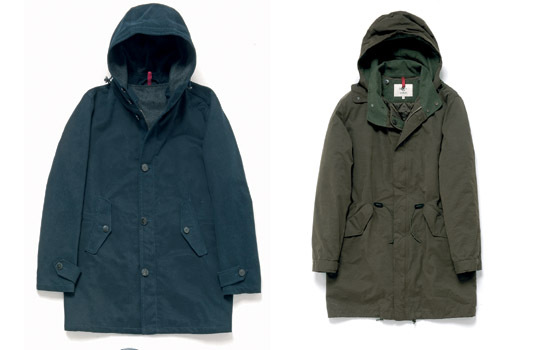 Great for use in the wilderness and in the city, the 18CRR81 CERRUTI Parka Fall 2011/Winter 2012 edition is offered in two styles. The first one is a more sporty-casual khaki waterproof fabric, with removable lining, zip closure and drawstring waist, the bottom and hood (333 euros). A second version of the urban look, slightly shorter and fit dry reinforcement is made of cotton and closed by a row of buttons that stops the two applied pockets and straps on the wrists (391 euros).